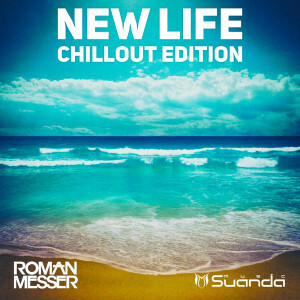 Chillout Edition of Roman Messer’s successful debut album called ‘New Life’ have arrived, including remixes by Aurosonic, Denis Sender, NoMosk, R.I.B, Zetandel, UltraNova, Vito Fognini, Paul Echo, Soty & Seven24 and Matrick. The industry of electronic dance music as any other music actively develops, opening more and more new artists every day, attracting more fans. 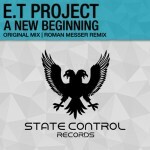 One of the ‘revelations’ of this year in Trance without any exaggeration can be called a talented producer from Russia Roman Messer. 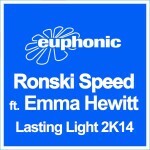 Talent from Russia, that supported, by such a big names as: Armin Van Buuren, Paul Van Dyk, Aly & Fila, Markus Schulz and others. He is famed by its recognizable style that liked by many people. Working hard by over the two years, constantly experimenting and adding to the style — something new and different — led to the creation of debut album, entitled ‘New Life’. ‘New Life’ (Chillout Edition) it’s not just 16 tracks, that combined into one album, this is exciting journey of the listener into the world of Roman Messer and the result of productive cooperation with other Russian producers — Denis Sender, NoMosk, Igor Dyachkov, and also with talented vocalists: Christina Novelli, Eric Lumiere, Jan Johnston, Robin Vane, Sarah Shields, Emma Lock, Ange, LJ Ayrten and Eskova. Roman: ‘New Life’ — this is my new life, which began with the first track of ‘Come Home’ and continues to this day. The desire and dedication to the beloved, created the story of my new life beautiful and special, and to learn more about the story, you simply need to listen to the album from the beginning until the last song’.